The SUCCESS project was driven by the vision of high-resolution millimeter wave sensors for distance, speed and angle measurement as miniaturized, highly integrated systems. The radio frequency is higher than 100 GHz, in order to achieve small antenna dimensions while maintaining a high antenna directivity. The measurement distance ranges are up to a 7 meters without dielectric lens and up to 20 meters with dielectric lens. A target ranging accuracy of better than 400 µm is achieved (frequency estimation). The sensor system shall be available as a single SMD component. It shall integrate the complete millimeter-wave part, together with the analog signal conditioning, the digital control logic, self test, calibration and antenna elements. SUCCESS targeted to develop a technology platform and best-practice design methods to enable the breakthrough of silicon mm-Wave SoCs for high-volume applications. 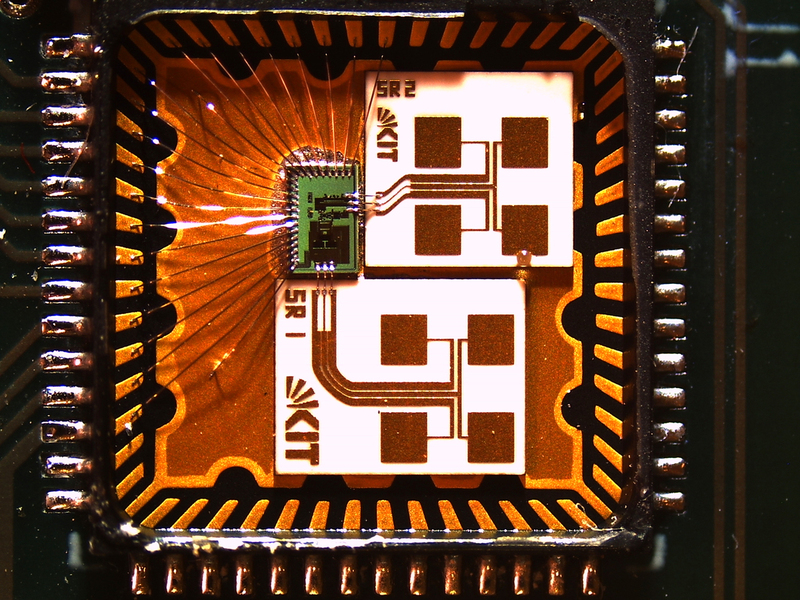 Within the SUCCESS project, the research teams achieved a milestone towards low-cost, miniature radar sensors. Several prototypes of fully integrated radar sensors were designed, fabricated, and successfully used for demo purposes. Details can be found on this website and in the referenced publications.